What a bizarre street! It’s one of the sights of San Francisco although we only think you need a few minutes here for a quick photo. The city is full of hills, and many streets therefore have a steep incline. When they designed this one though, they decided to do it a little differently and have a series of hairpin turns going from left to right. 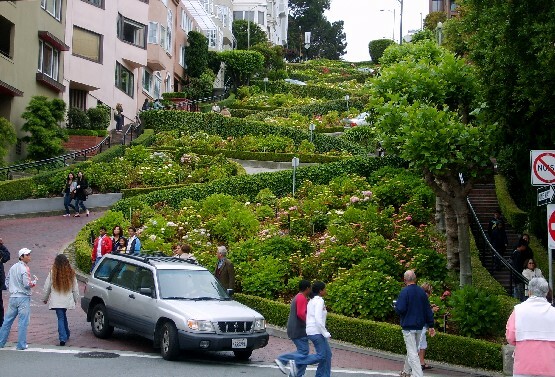 Lombard Street is a short walk up the hill from Ghirardelli Square. 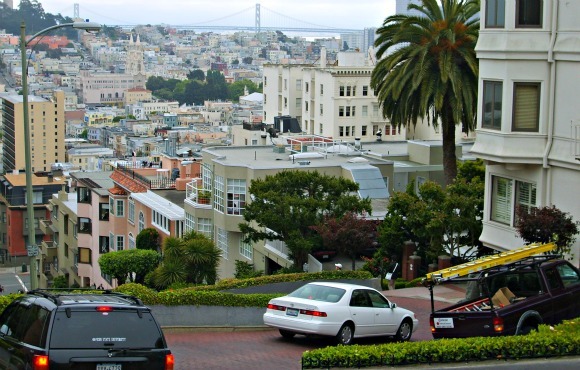 This is an extract from our free San Francisco City Guide. Lombard Street actually strectches from right the way from the Palace of Fine Arts to The Embarcardero. The only bendy section is the bit between Hyde Street and Leavenworth Street. This section is known as the “crookedest” street in the world! At peak times, it can be a long wait to drive down the street and the footpath steps at the side can be really busy. You can now take the challenge of the Crooked Street Segway Tour! 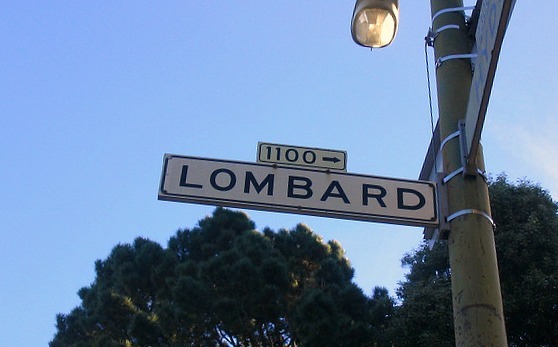 Address: Lombard Street, between Hyde and Leavenworth Streets, San Francisco, CA 94109.